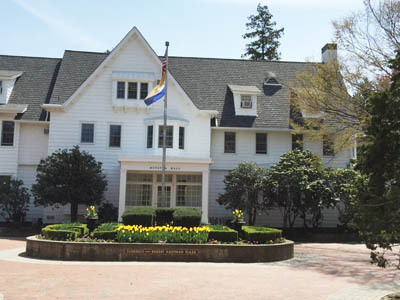 Hofstra University in Hempstead, Long Island, joined the RCCN following a week-long residency, including Earth Day, by President Bob Musil as a Woodrow Wilson Visiting Fellow. Musil was hosted by Professor Bret Bennington, Chair of the Department of Geology, Environment and Sustainability. Dr. Musil’s lecture at Hofstra, “Rachel Carson and Her Legacy for Today,” also stressed the key role of New York in the birth of the environmental movement, especially the role of Marjorie Spock (sister of noted pediatrician and anti-war advocate Dr. Benjamin Spock) who brought suit against the spraying of DDT in 1957-58 when her North Shore Long Island estate, with many acres of organic gardens, was repeatedly sprayed. It was Marjorie Spock’s lawsuit that brought attention to the problem and caught the eye of William Shawn, editor of the New Yorker magazine. Shawn finally sought Rachel Carson to write a series of articles about DDT that was published as Silent Spring. Spock and Carson became close friends and Spock connected Carson to scientists, documents, and activists nationwide. Dr. Musil also explained Carson’s connection to the anti-nuclear movement and early reports of global warming and how she would have been concerned in modern times with issues like fracking and opposition to nuclear power plants such as Indian Point, New York. 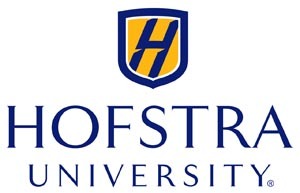 While at Hofstra, Musil also appeared on WRHU-FM, the college radio station, taught classes in environmental ethics, economics, policy, communications, and civic engagement, and met with the Provost, Deans, and student groups.